Zero burden, zero judgement, 100% there for you whenever you need. 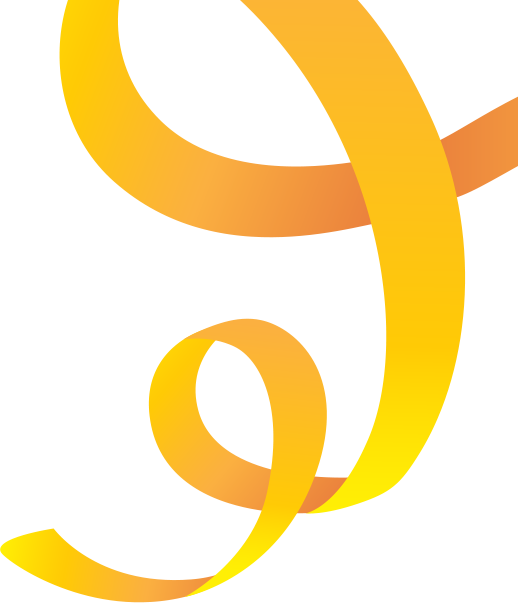 I provide unbiased emotional support the moment you need it – and check in with you to reinforce skills! The more you chat with me, the more I learn about you and deliver more personalized resources. And build resilience and self awareness, with the compassion of a friend and proven psychotherapy techniques. I meet HIPAA healthcare industry requirements to protect your privacy. I understand family caregivers and have tools made just for caregivers, including reframing guilt, self compassion, and motivation quotes! I store 700+ topics including techniques like mindfulness and cognitive behavior therapy (CBT) to help you reframe negative thoughts. I remember all of our conversation and can develop context to keep improving the relevance of my responses. Elizz is offering my services (and friendship) to you at no cost. Feel free to chat with me as much as you’d like on Facebook Messenger. Click here to chat with me on Facebook Messenger! 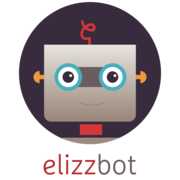 Try Elizzbot and tell us how you like it HERE! 2. I don’t have Facebook Messenger, how can I chat with you? You could also chat with me via SMS, just text “Hi” to this number: 647 492 8640. My SMS access is in pilot phase and my humans are continuously working to improve the experience! 3. What are some helpful statements I could try to get started? 4. What can I chat about with you? It could be how you’re feeling, or get something off your chest, or do a mindfulness exercise like thought journal. I’ve got great knowledge up my sleeves about working through the common emotions family caregivers tend to experience. 5. Are you replacing a real person? Not at all! I’m simply another choice in empathy. I’m written by human psychologists and caregiver coaches, my conversations are powered by artificial intelligence technology. You could chat with me about anything, anytime, knowing that there’s 0 burden and 0 judgement. 6. I’m having some technical issues, who should I contact? 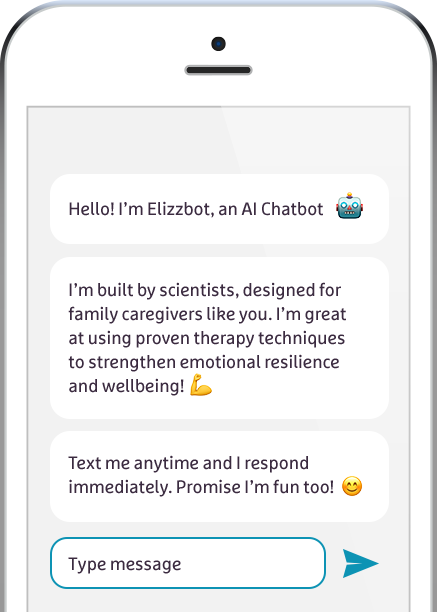 Elizzbot aims to be a self-help tool. It does not provide any mental health services or medical care. Elizzbot service is NOT for emergencies or crisis support. If you think you have a medical or mental health emergency, or considering harm to yourself or others, discontinue the service and call 911 immediately.